The management of human waste in India has traditionally been inadequate to say the least and with an increasing population has become a further burden. We still have the largest population in the world of people without toilets and who have to resort to open defecation. In its particularly ghastly form it has given rise to the practice of manual scavenging, the dehumanizing method in which people have to empty raw sewage whilst immersed in it. Though there is a law which bans it, in the absence of an effective system of monitoring and replacing the dry toilets the practice regrettably continues. 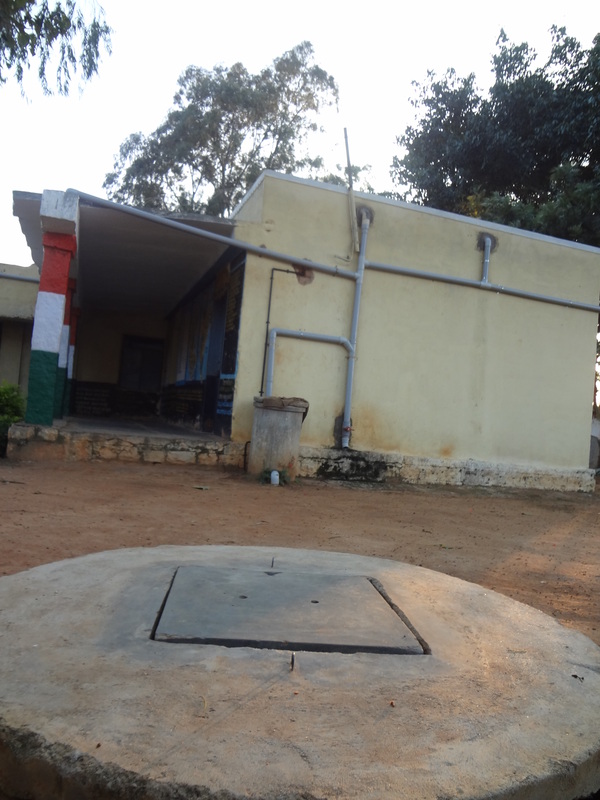 In a recent incidence in the town of Robertsonpet in Kolar District, 3 persons died when they went down to clean a septic tank and inhaled the poisonous gas present there. 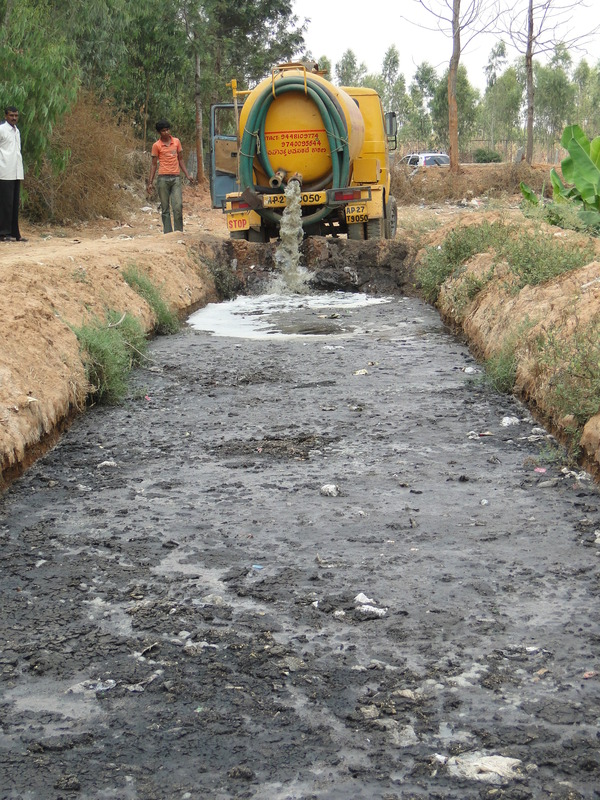 Most cities and towns in India do not have underground sewage systems to dispose of waste. These urban areas resort to on-plot systems of sanitation generally with a pit latrine or a septic tank. These pits are large diameter and deep pits which may take years to fill up but eventually they do. When they do fill up they have to be emptied. The same goes for the septic tanks too. The sludge deposited in them need to be emptied from time to time. There is no structured attempt by any institution to ensure that these septic tanks and pit latrines are emptied mechanically. The private sector has responded innovatively with the development of the ‘Honeysucker’. These vacuum trucks of capacity 3000 litres and with a water jetting facility now roam the streets in their distinctive yellow colour. A honeysucker stands in front of a multistoried building, a daily visit. These trucks are indigenously and ingeniously made. A truck chassis is taken and the cylinder with two sections welded on to the body. Pumps are then place linked to the diesel motor. The pumps are of a very high suction capability and can lift waste from up-to 80 metres. At one call from a mobile phone they are at the doorstep providing a service which eliminates manual scavenging. If the state is really serious about eliminating manual scavenging it will do all it can to encourage the ‘Honeysucker’ model of waste management. Every town municipality should have at least one such vacuum truck. One Honeysucker can provide for 4000 houses or for a population of 20,000 people. Towns can then choose the number of Honeysuckers required in their municipality. The building bye-laws should specify the design of the septic tank and pit toilets so as not to pollute the groundwater. This should be insisted upon for every completion certificate. The town municipality should also do an inventory of the number of septic tanks and pit toilets in its jurisdiction. Notice should be issued to every household to get one if they do not have it. The private sector should be encouraged by providing clear guidelines for the waste disposal, composting and selling of compost. A composting site could be arranged which is appropriately designed to avoid smell, pollution of soil and water as well as compost the rich nutrient load . After adequate composting, this could be sold as fertilizers to farmers. There is a huge demand for such fertilizers which sell at Rs 2000 a tractor load. It is unlikely that India will get underground sewage systems for all its towns in the near future. While decentralized sewage systems have a role it is most likely that the on plot sanitation system will be the easiest option for most people. With a good design at the toilet and pit level as well as at the collection and composting level, a value chain of sanitation, public health and agriculture can be created. The moment is for us to seize and get rid of manual scavenging once and for all as well as provide sanitation to the millions who lack it. Who can do what ? Architects/Engineers/ House owners – Design your septic tank or pit toilet to be easily accessible for the honey-sucker. If necessary a separate pit toilet may be designed for the toilets alone . The grey water can go to another pit separately. In high water table areas, seal the bottom of the pit. Municipalities : Ensure that a design template for septic tanks and pit toilets is provided. Ensure that the septic tank or pit toilet is inspected before issuing completion certificate. Ensure that pits and septic tanks are frequently emptied say once every 2 years. Ensure that land is provided for safe disposal and composting of collected sludge. Farmers /Fertiliser manufacturers : Ensure that compost pits are suitably lined and does not pollute soil or water. Ensure that adequate time is given to allow the sludge to compost. Do not use raw sludge. Use the compost only for specified plants which are not eaten raw. Pollution Control Board : Draw up a regulation for the honeysuckers, to register and dispose off sludge in authorised compost sites only. 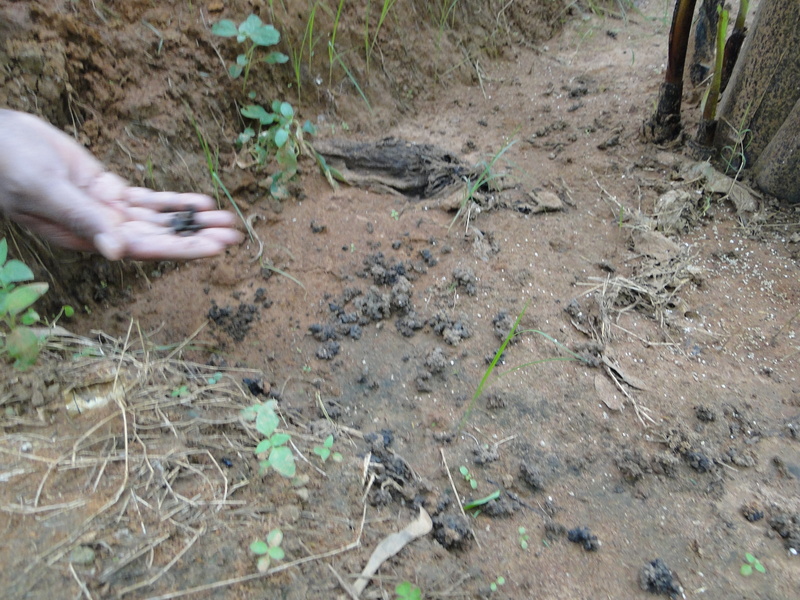 Assist the farmers and the fertiliser manufacturers in the correct composting of faecal sludge. Regularly inspect the sludge composting yards for compliance. Agriculture Department : Draw up guidelines for correct use of composted human sludge. Inspect and assist farmers in correct use of compost including timing, quantity etc. Draw up approved list of plants and trees where the compost can be used. 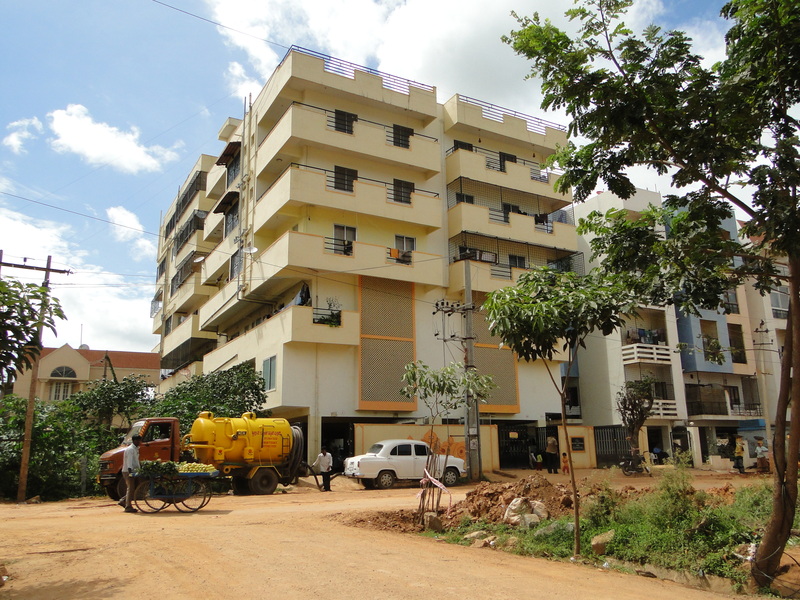 There are approximately 200 such Honeysuckers operating in Bangalore city alone servicing upto 100,000 houses. These honey-suckers also service the nearby small towns of Dodballapur, Chikballapur , Magadi, Vijaypura, Devanahalli. Others are operating in the towns of Bellary and Hospet. The solutions to urban ecological sanitation is emerging from the informal private sector. Caution : Hookworm incidences have to be looked out for http://onlinelibrary.wiley.com/doi/10.1196/annals.1425.000/full They are endemic and debilitating. Groundwater is the traditional way Bangaloreans accessed filtered drinking water from lakes and tanks .It is as much a cultural, social and historical construct as a technical construct. Lakes and tanks are traditional systems of holding surface water and also recharging groundwater. They are the recharge structures whilst wells and bore-wells are extraction structures. At least 5 % of land-use should be devoted to surface storage and recharge in every watershed from the micro to the macro watershed. Keeping surface water bodies from sewage and other pollution is as important as storing water in them. The same goes for groundwater. Pollution can destroy more than recharge can create. Industrial areas and zones need to be heavily patrolled to prevent contamination of groundwater. The science and knowledge of groundwater in the urban context is a nascent science and needs to be invested in more heavily than at present so as to keep the lifeline flowing forever. We need to bring back a culture of groundwater which built the art of well construction, developed a science around it, respected it spiritually and drew only limited replenish-able amounts from the aquifers. The institutions we create to manage groundwater should be facilitating institutions rather than licensing and controlling institutions. Capabilities and skill sets of these institutions should be built accordingly. The rainwater harvesting bye-law which has made it compulsory for every building to harvest rainwater provides an opportunity to replace groundwater use or to recharge and enhance groundwater replenishment. The Karnataka Ground Water (Regulation and Control of Development and Management) Act, 2011 was passed recently by the Assembly apparently without much or any debate. The Rules are now being notified for its implementation. This is the crucial management aspect of the Act and needs to be carefully thought through and debated before it is gazette and enforced. The objective of the groundwater bill in so far as the city is concerned would be the equitous and sustainable distribution of groundwater with access to all since groundwater is a common property resource and is to be held as a public trust by the government. In the absence of the government providing water for building construction groundwater is frequently used for the same. It should also be remembered that the poor and the economically disadvantaged have the maximum dependency on groundwater since they are not connected to the piped network. There are some advantages that Bangalore starts with as regards groundwater which can easily be leveraged. This is the only city which charges Rs 50 a month as sanitary charges for groundwater through the Bangalore Water Supply and Sewerage Board. 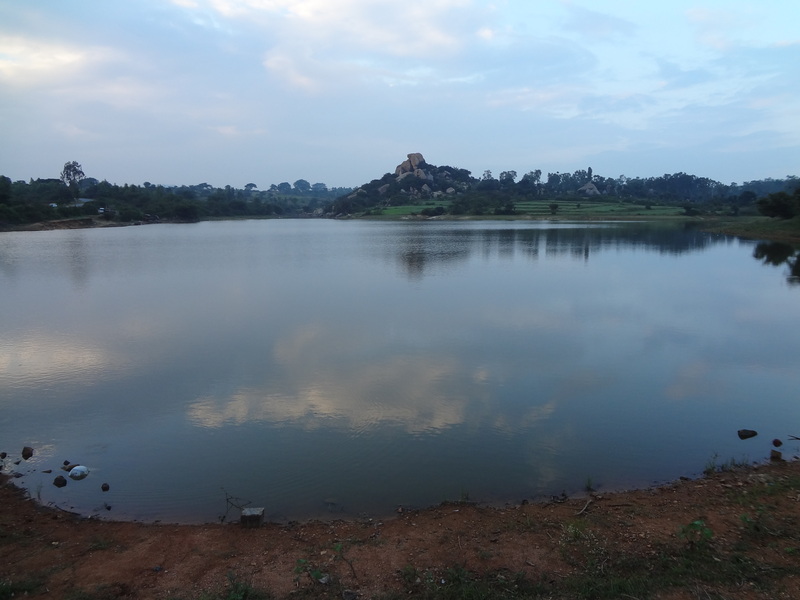 The BWSSB there fore has a record of the bore-wells in Bangalore wherever it supplies water. This is a wonderful database which can easily be leveraged. Secondly the BWSSB bill collectors visit the premises every month to give a water bill. They can easily verify and monitor the bore-wells as the connections are extended over the city. The BWSSB responsible for the provision of domestic, commercial and industrial water for the city should be made the responsible institution for managing groundwater in the city and officially recognized as such. A hydro-geological cell should be created within the BWSSB and all collection of monies from bore-wells and groundwater should go to strengthen the knowledge base and the management and regulation of groundwater alone. The BWSSB currently collects nearly Rs 10 crores annually from bore-wells. This money should ultimately be invested in mapping aquifers at micro-level and in the de-silting of lakes and tanks to ensure recharge of the groundwater. 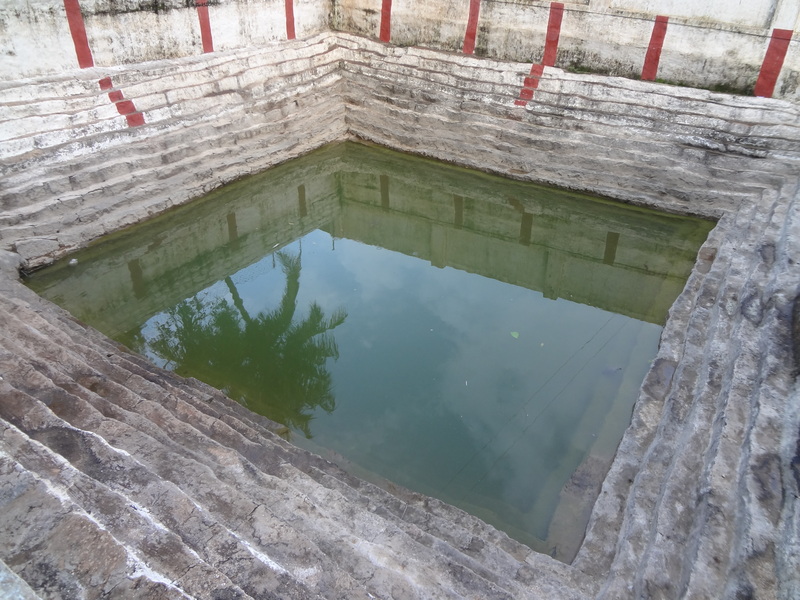 Every bore-well dug in Bangalore must have a recharge structure too, something which is the extension of the rainwater harvesting bye-law being implemented by the BWSSB. It is not also right to treat private tanker operators as villains and use blatantly high tariff mechanism on them alone. They also serve a purpose and most of their water supply is for construction purpose. 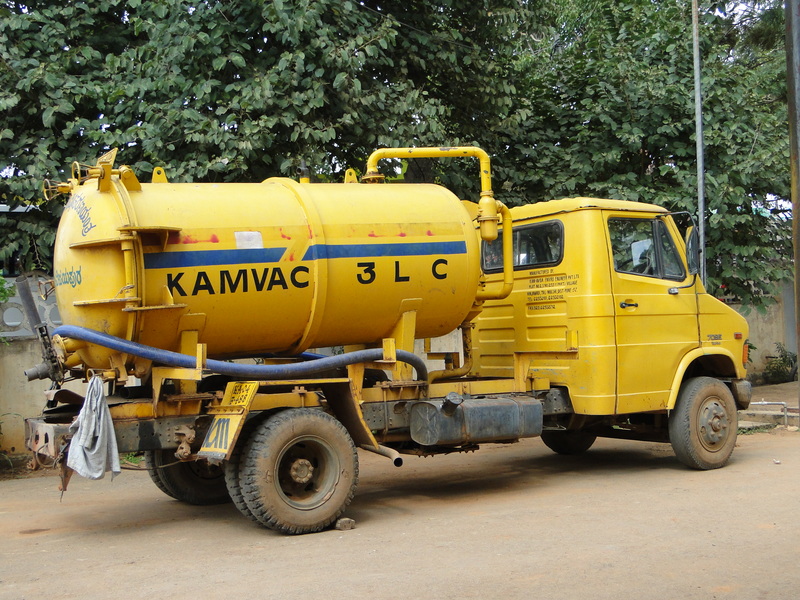 More than 950 registered water tankers operate in Bangalore. By merely charging them Rs 40 per kilolitre would simply transfer the costs to the consumers. It is better for the city to think holistically, meter all bore wells, levy a volumetric charge in an increasing block tariff exactly as is being charged for piped water supply by the BWSSB and take steps to ensure recharge of groundwater. At a conservative figure of 250 million litres per day being pumped out and at Rs 10 a kilo-litre Rs 25 lakhs can be collected daily to be invested in tank rehabilitation and recharge. Bangalore can show the way to the nation in the management of its waters and groundwaters and the opportunity is now. 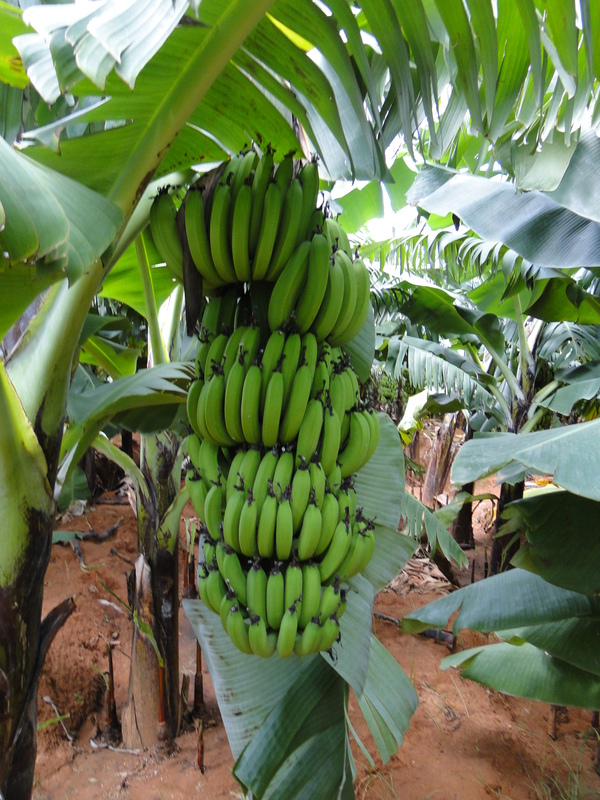 You are currently browsing the Harvesting Rainwater blog archives for November, 2011.